Today I have a little bottle of Essence Underwater to show you. 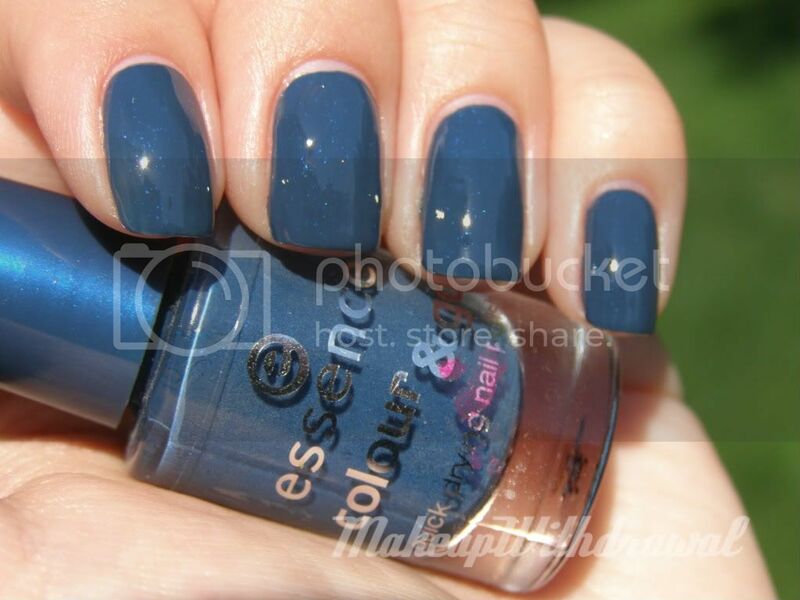 I love, love Essence Colour & Go polishes- $.99 a bottle, lots of bright colors in the line, what's not to like? Underwater is a denim creme with micro-glitter that flashes from blue to purple in the sunlight, but is otherwise rather hard to see. I had a hard time trying to figure out if it was glass fleck or micro-glitter, something that is rather difficult for me to discern! You can kinda see the sparkle better in this one. 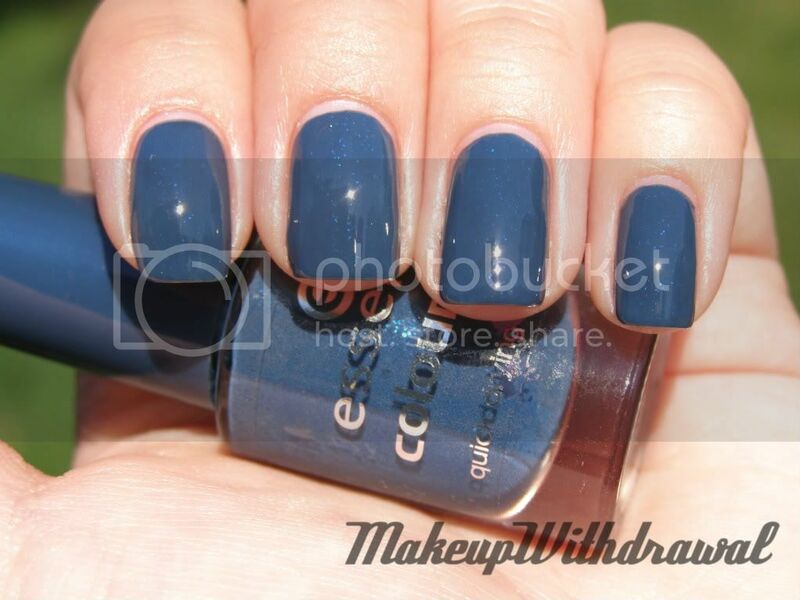 Pictured here is three coats, nice formula-no troubles. I think that the next time you go to Ulta, this little fellow would like to go home with you. Own Underwater? Or how about any of the other Essence polishes?